By Neil Jackson. Nice eh? We’ll see how the new covers translate into sales. I’m optimistic. I’m also about two months out from taking this on as a full time job… and I’m really looking forward to it. Also, with the new cover, I’m relived to announce that “The Missing Boatman” 2.0 is now available. Thank you to Kate Ann Jack and Cathy Ryan for helping out when my bank was busted. A lot of the glaring typos that should have been fixed by my previous “freelance editor” were corrected. A tip for all you thinking about hiring freelancers–make damn well sure you ask around and do a background check. Some folks merely talk the talk. Unfortunately, with the new squeaky clean edition and the new cover comes an increase in price. Sorry folks. Had to raise it. Like all businesses, the first year for me is going to be incredibly lean. Unless one of my titles takes off. I shall have to sacrifice a baby seal. Thank you to Willie Meikle, and his new book. I hope he got lots of new readers from this site. We’ll probably do it again sometime. 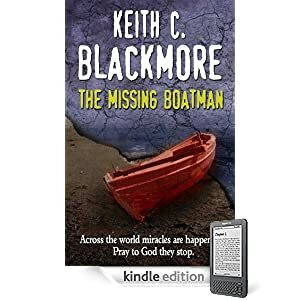 Willie was also nice enough to post an interview with me on his site here http://williammeikle.blogspot.com/2011/01/author-interview-keith-c-blackmore.html . Very much appreciated. I still have a copy of his “Berserker” novella here but I haven’t gotten around to it. Reason being, I work a lot on the PC, writing and then reading, and when it comes to actually reading someone else’s story, well, I’d rather be on me couch. But I plan to pick up a Kindle once I’m back home. I have to. I ain’t paying $13 for paperbacks anymore. Not unless I am absolutely dying to read a book. There’ll be other writers featured here in the weeks to come, mostly fantasy and horror. Nice covers, Keith. 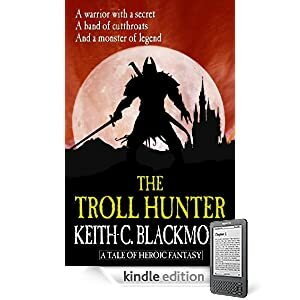 I am especially intrigued by The Troll Hunter. That book sounds like something I’d really enjoy. I will have to add it to my growing list of MUST reads! Thanks for visiting and writing, Jenny!